The CCACH Tutoring Program is starting! We have highly qualified new and returning tutors ready to help you and your children reach academic success. 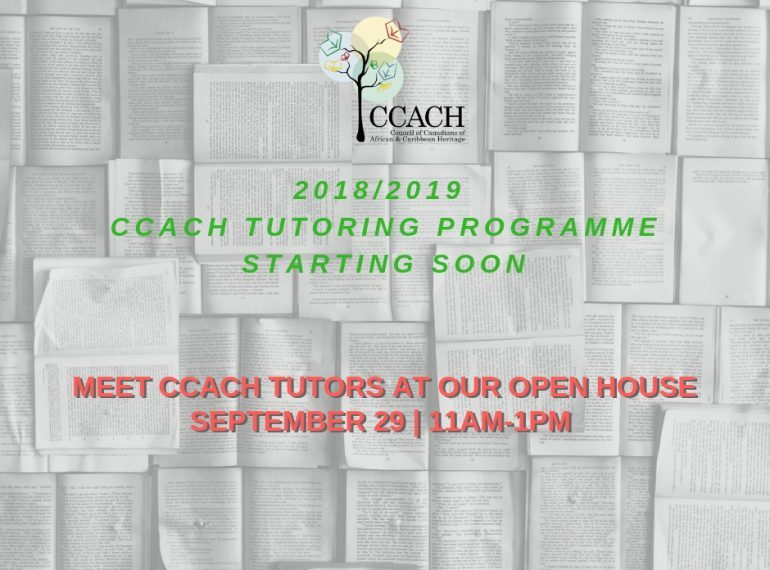 All students and families are asked to attend our Open House and Registration on September 29, 2018 at CCACH offices (Suite 1, 10275 Jasper Ave). You are welcome to drop in any time between 11am – 1pm where you will be able to meet your tutor and register for the program. Please RSVP to info@ccach.org. Spaces are still available but will fill up quickly, so please let your friends and family know so they can reserve their spot. See you September 29!